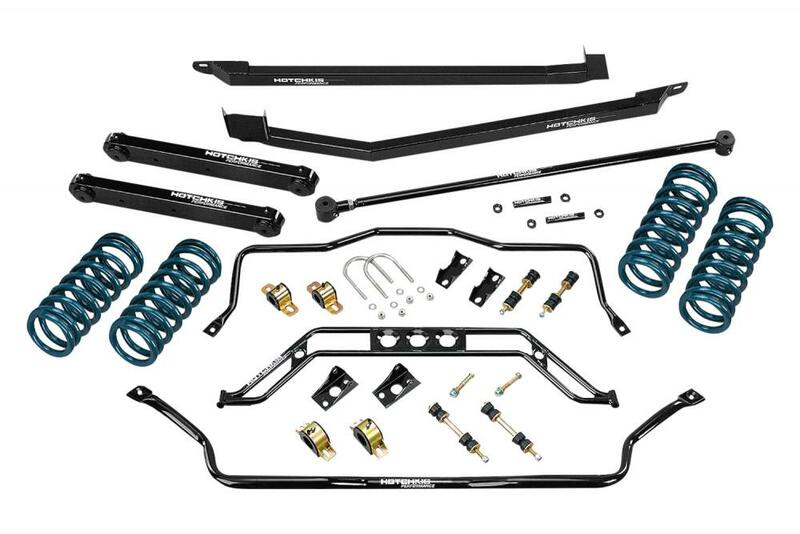 Hotchkis Sport Suspension, Shock Absorbers & Coil Springs at CARiD.com - Ford F150 Forums - Ford F-Series Truck Community. Founded in Santa Fe Springs, California, in the late 1960s during the height of the original muscle car boom, Hotchkis Sport Suspension got its start building products that blessed GM, Mopar, and Ford performance cars with new abilities to corner and handle with stability at racetrack speeds. As the company’s reputation for building quality products grew, Hotchkis parts soon found their way into all kinds of vehicles that were not made to go fast. Today's vehicles are designed and engineered with extremely tight tolerances. Hotchkis engineers measure and then design with state-of-the-art CAD systems to ensure that their suspension upgrades operate in their intended locations away from existing suspension and exhaust components. CARiD is proud to offer the best values you’ll find on a full range of Hotchkis sport coil springs that lower your vehicle’s center of gravity to add responsiveness, tubular sway bars that optimize chassis balance, control, and stability, rear suspension packages that dramatically improve traction during launch and cornering, and much more. Almost all suspension elements, like structural braces to beef up strut towers, control arms, suspension subframes, and solid rear axles, etc. are sold separately. To check all Hotchkis parts we carry click here: Hotchkis Sport Suspension, Shock Absorbers & Coil Springs at CARiD.com Just select your year, make and model. Have you ever used any Hotchkis products?